I am off to Kenya on June 19 so the remainder of June/July and August will be combined in one update to be posted in early September. The first part of my trip will involve a 200 Km walk starting in an Internal Displacement Camp, through Nairobi, and then up to the mountains ending at our children’s home in Kikima – the Rolling Hills Residence. 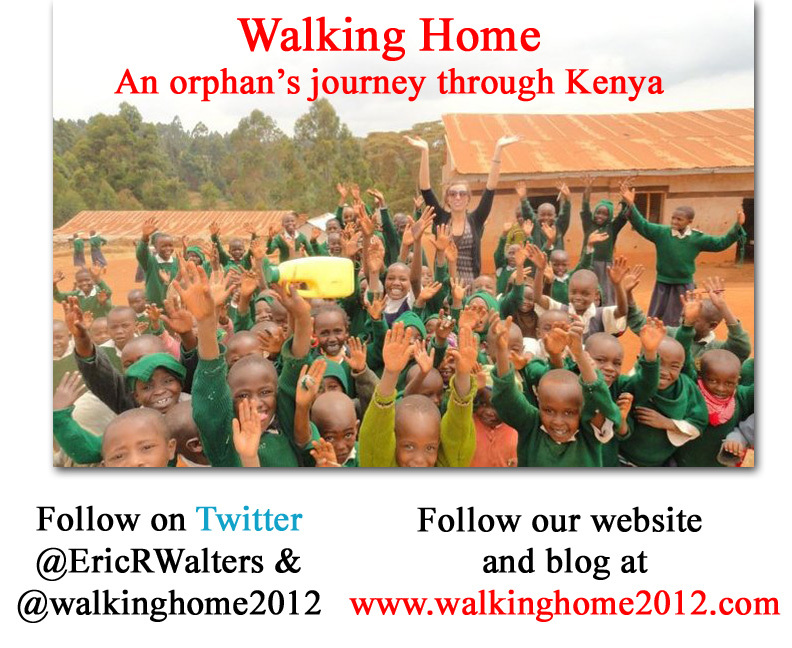 This walking trip, to explore the orphan situation in Kenya, will be co-led by Mr. Henry Kyatha and will include my daughter Julia as well as Connor, Kate, Matt and three of our orphans – Baraka, Keli and Mulwa. You are welcome to follow along with us as we blog and tweet, write and film our experiences. Our residence, both the original building and the soon to be completed second building, is named after Rolling Hills – our strongest supporters. Once again they held a “Hoops for Hope” basketball tournament and raised $8022.36! This money is already at work on the ground in Kenya being used to complete the building that is named in their honour. 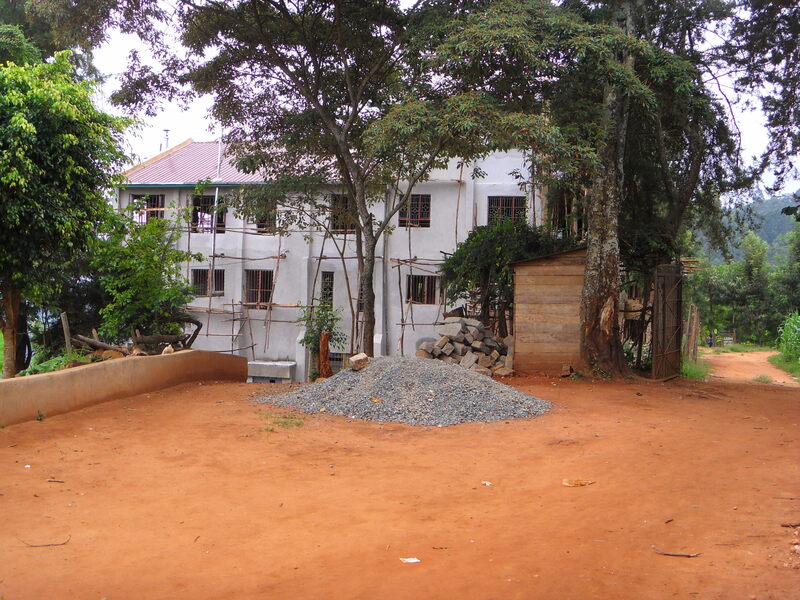 The view from Ruth and Henry’s front door – the Children’s Residence is on a piece of property donated by Henry’s father. This hugely successful event was all done with the assistance, support and guidance of teachers throughout the school and was under the leadership of Abbie Wright. 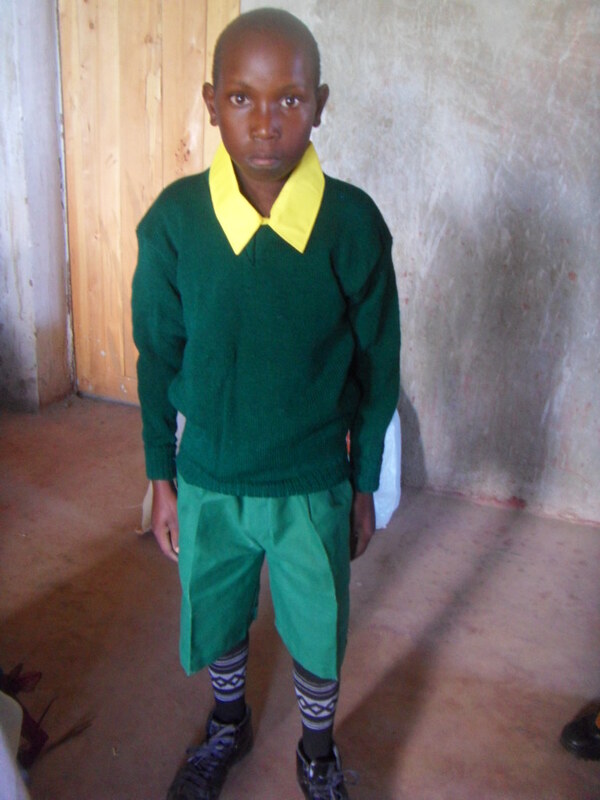 Everything starts with one person – Abbie was that person – and the orphans of Kikima are in her debt for the ongoing legacy she has started on their behalf. The new residence – now home to 44 orphans – is also the centre of all support services to the community offered by The Creation of Hope. 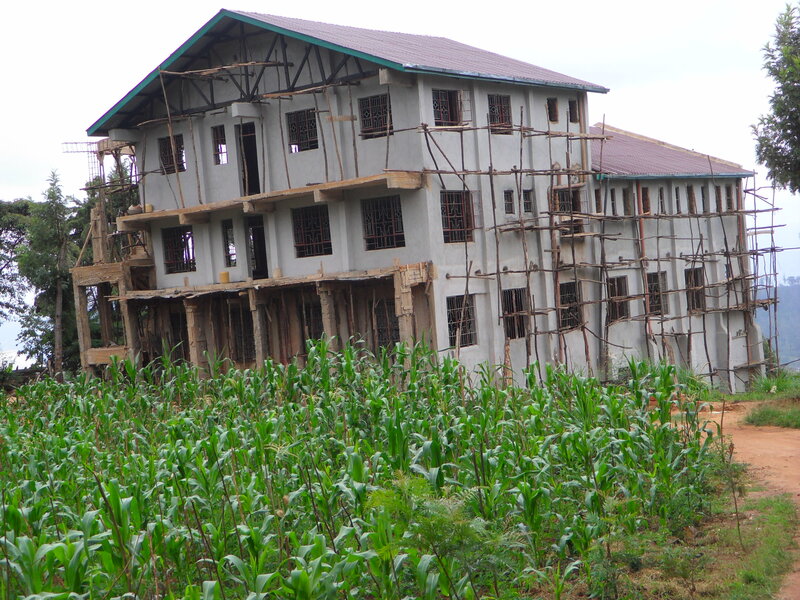 This is the site where our offices are located, where community meetings take place, and where the monthly distribution of food, beds, chickens, goats, clothing, and uniforms for the close to 400 orphans in the community takes place. Our group of Canadians including a number of sponsors will be there for the ‘official’ opening and pictures will be posted in the summer update. As those of you who read our updates know, the dining hall in our residence is called The Whitehorse Room because two schools – Jack Hulland and Christ the King (both in Whitehorse, Yukon) – helped to fund the construction and furnishing of our dining hall. Jack Hulland has continued with further fundraising efforts. 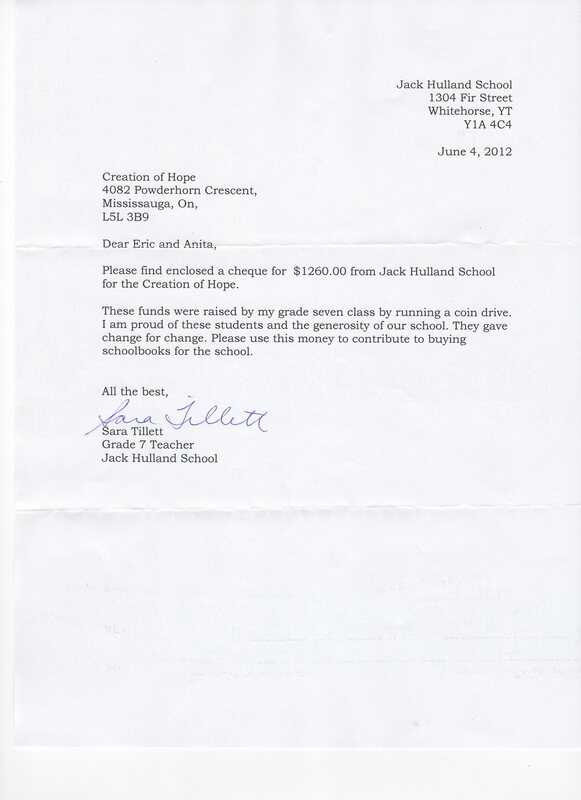 Below is a letter explaining the latest donation from Jack Hulland, followed by how their donation was spent! I just wanted to give you a quick update on the Ray Lewis fundraising efforts. 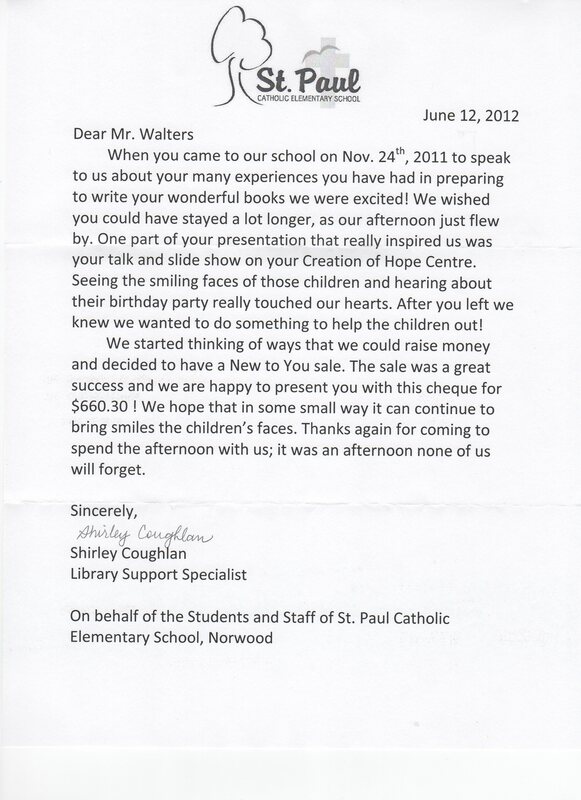 First bit of good news – as part of Staff Appreciation week, our Parent Council is donating $100 to the Creation of Hope. They assure me they’ll be sending out that cheque soon. Second bit of good news – I’ve finally finished counting and rolling the coins from our coin drive and bake sale. When everything was counted, we had reached a total of $1,137.60. We received the thank you plaque and card yesterday. Right now I’m displaying them in my classroom but we will be putting them in a more prominent location later. The photos of the children are absolutely beautiful. $60.00 was received from Alexander Graham Bell P.S. from their involvement with the Terracycle program. The Global Citizens for Change Team at Glendale Public School in Brampton was excited to be a part of supporting Creation of Hope this school year. We had a “Spook-o-gram” sale at Hallowe’en, sold Candy Cane grams at Christmas and had a very successful penny drive in May. 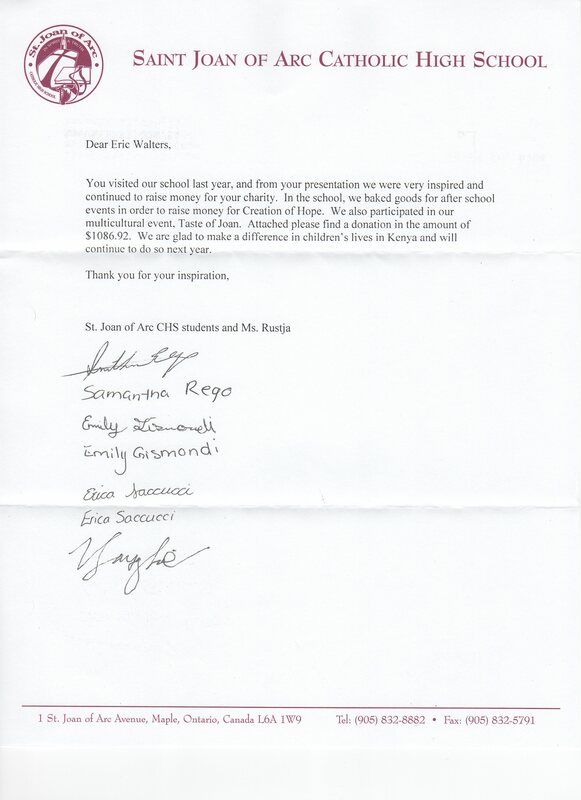 We were able to raise a total of $789.82 which we would be happy to see used to support the Rolling Hills Residence. The children were impressed and quite moved by Anita’s presentation in October and they were thrilled to meet you when you came in to personally collect the cheque in June. 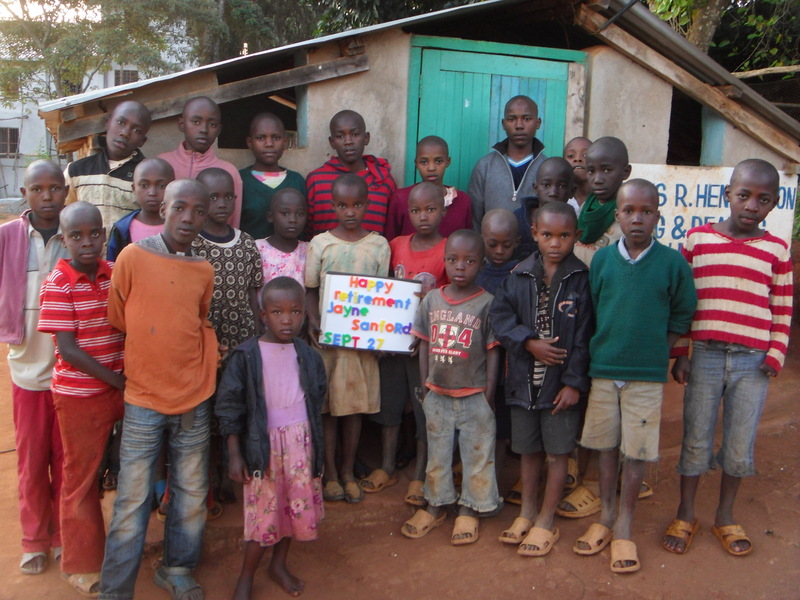 We look forward to working with you, creating hope for orphans in Kikima, again next school year. 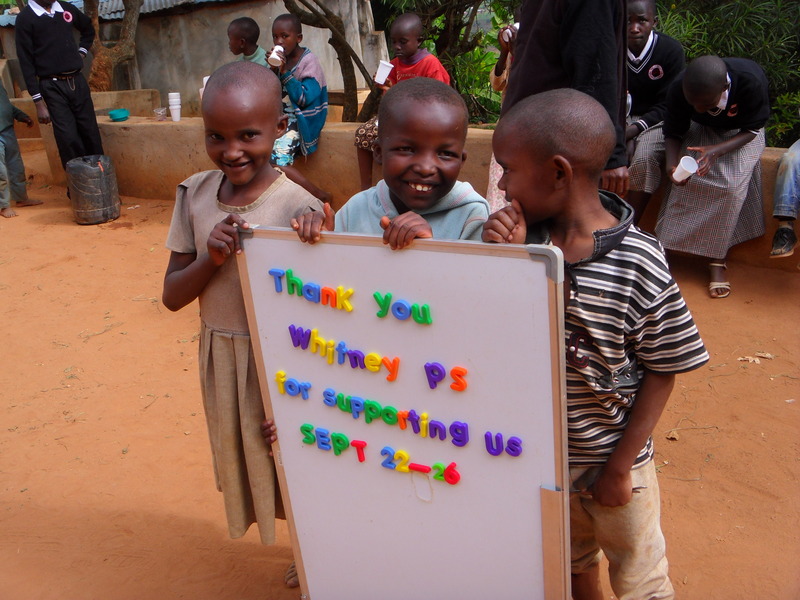 It is a pleasure to be working with a small organization that is making such a big difference! I presented at Whitney P.S. and asked that half of my fee be donated to The Terry Fox Foundation and the other half support the Rolling Hills Residence. 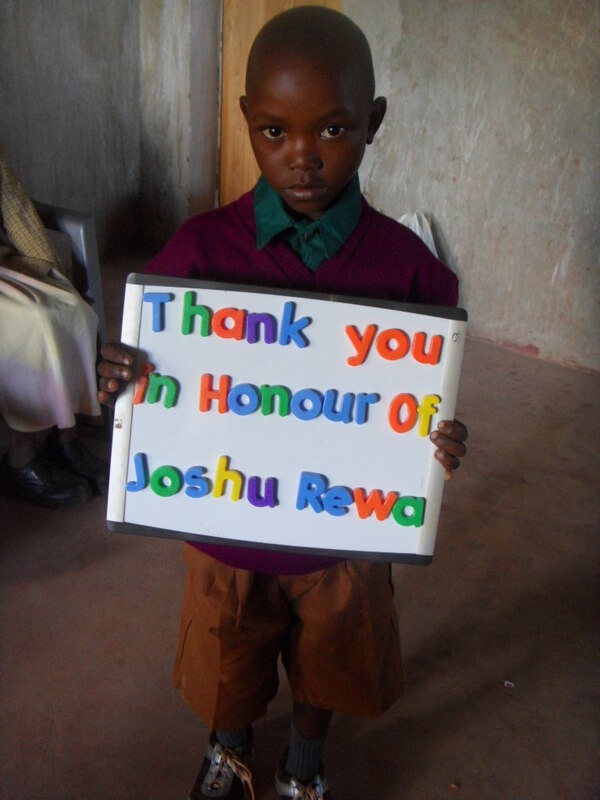 Here is the thank you sign acknowledging the donation. I received a wonderful donation from St. Paul Catholic Elementary School in Norwood. Special thanks to Shirley Coughlan. A wonderful donation letter from St. Joan of Arc! I was presenting at Julie Payette P.S. At the end of the presentation a student, Khori Watson, gave me $7.00. 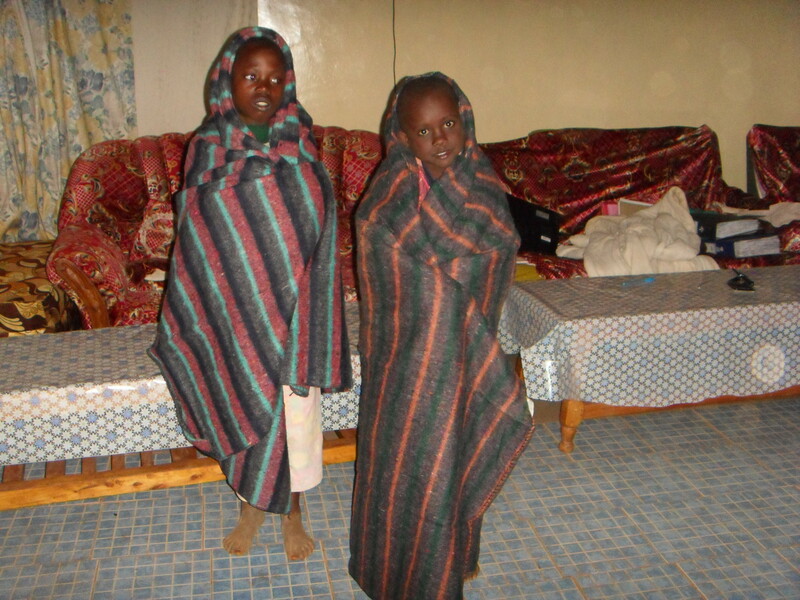 This money was used to provide blankets for these two children – Mwendi and Syombua. Warm thanks to the generosity of a young man who gave all that he had. These are the moments that inspire me! I have to admit that I always find myself inspired by the efforts and donations of young people. 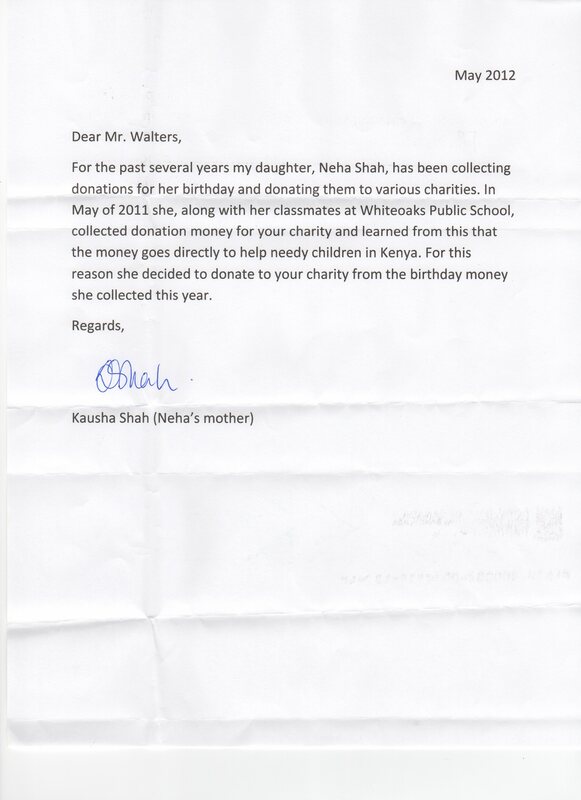 Below, Neha Shah’s efforts are outlined in a letter from her mother. Neha donated $390.00! Although not quite as young – Paula, Alan, Erin and Paige made a personal donation to support the program for 1 entire week (plus a little more for something else). 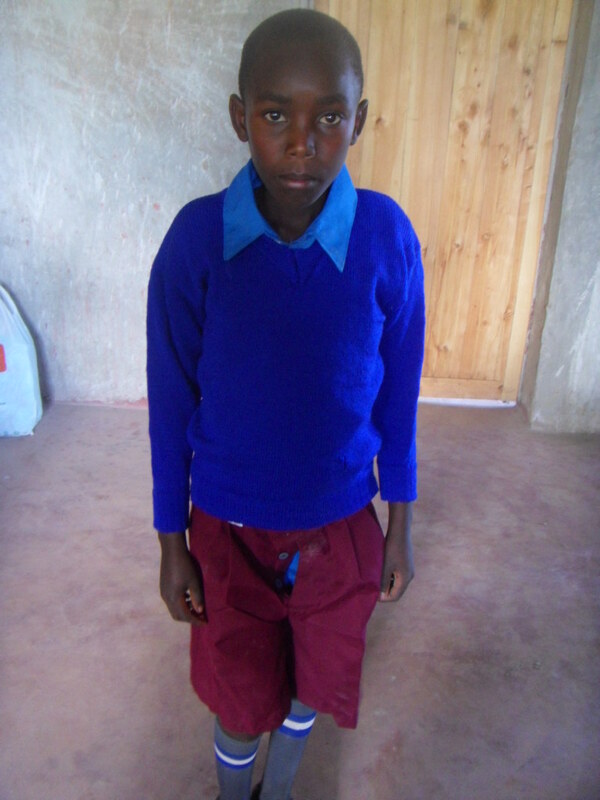 The week they sponsored is October 17 – 23 – picture to be forwarded to them – and the something else is pictured below. 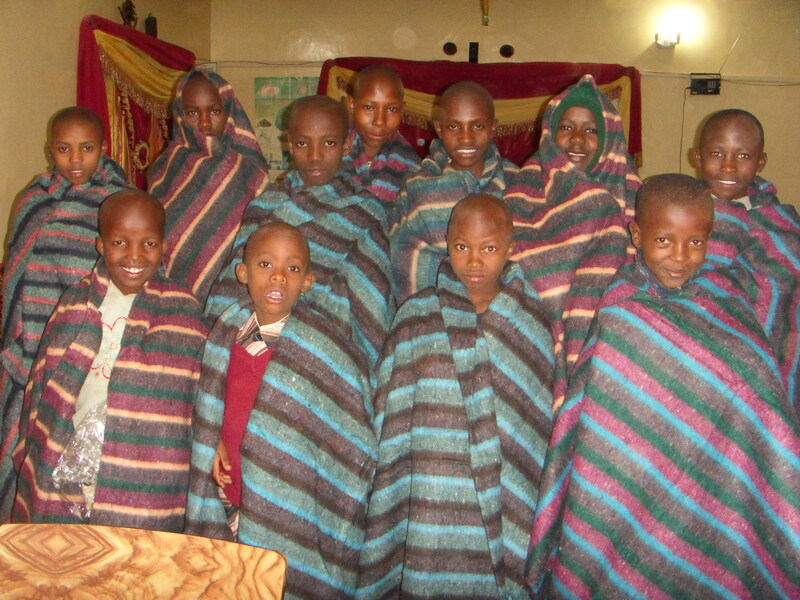 Eleven orphans have new blackest to keep them warm at night! At the same school where Jayne is retiring, another teacher, Mr. Welsh, gave a donation to purchase a goat for an orphan. He will receive his photograph – and it will be posted – in a future update. On June 8th Christine and Graham got married. 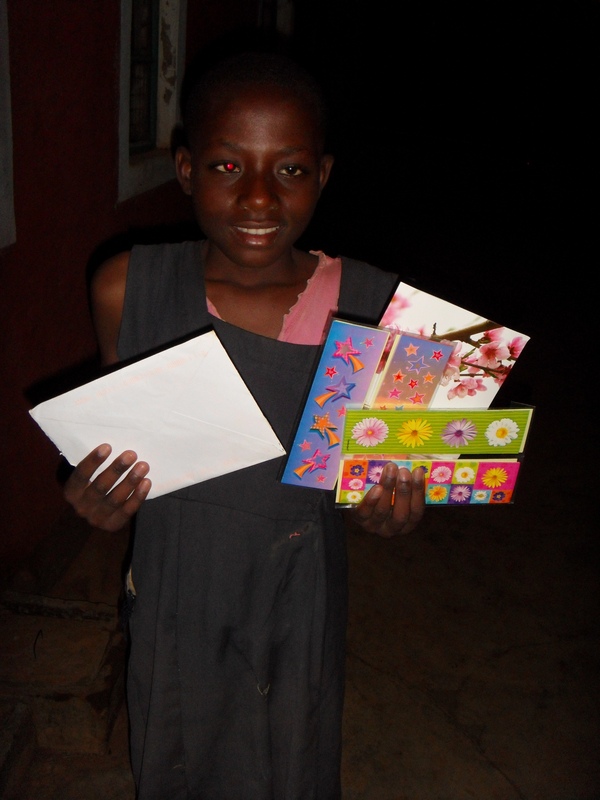 (Christine’s daughter is part of the Canadian team visiting this summer) Instead of presents they asked that donations be made to one of two charities – with Creation of Hope being one of them. 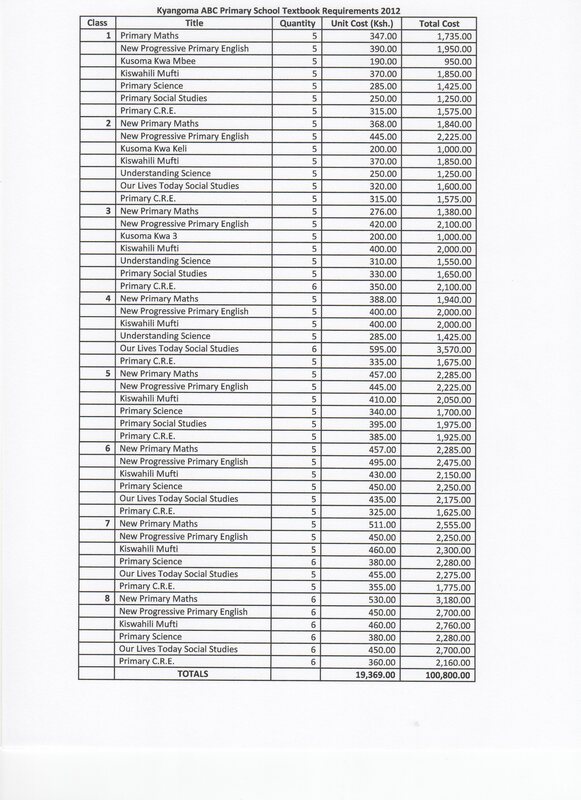 At last count – with money still flowing in – this has raised over $3500.00! There is a wonderful story behind this goat. 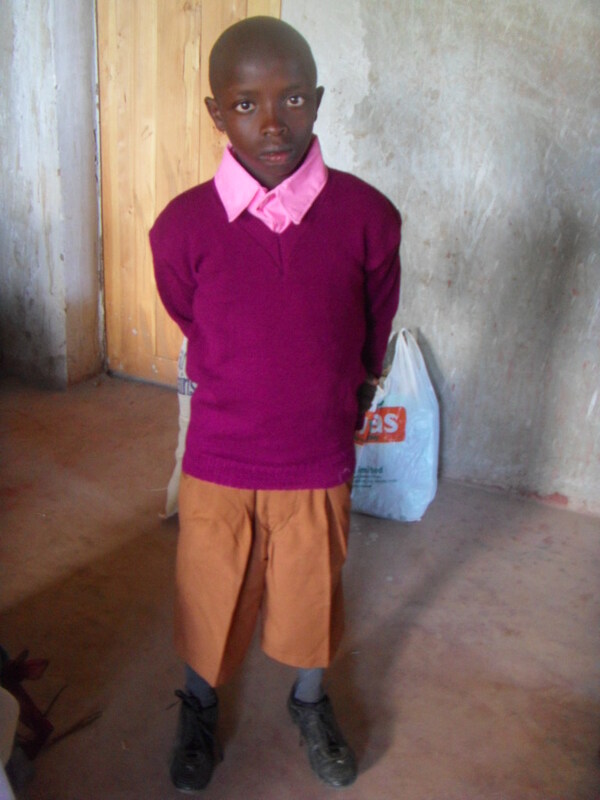 Over the past two years goats were given to Benjamin and his cousins – orphans provided for in the home of their grandmother, Grace. These goats have provided ongoing milk for the family. 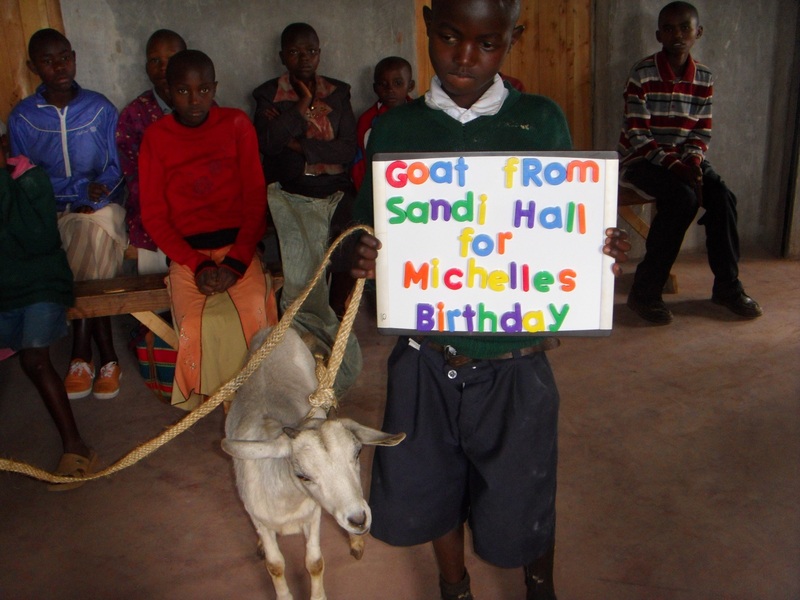 Now this goat – this present for Michelle is the ‘baby’ of one of these goats. 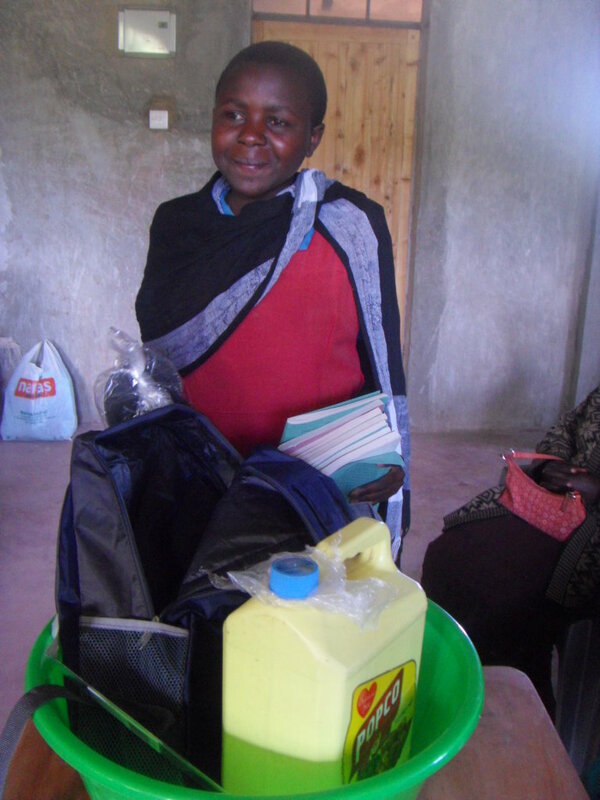 We purchased it from Grace – providing an incredible boost of income to this family. These are gifts that keep on giving. 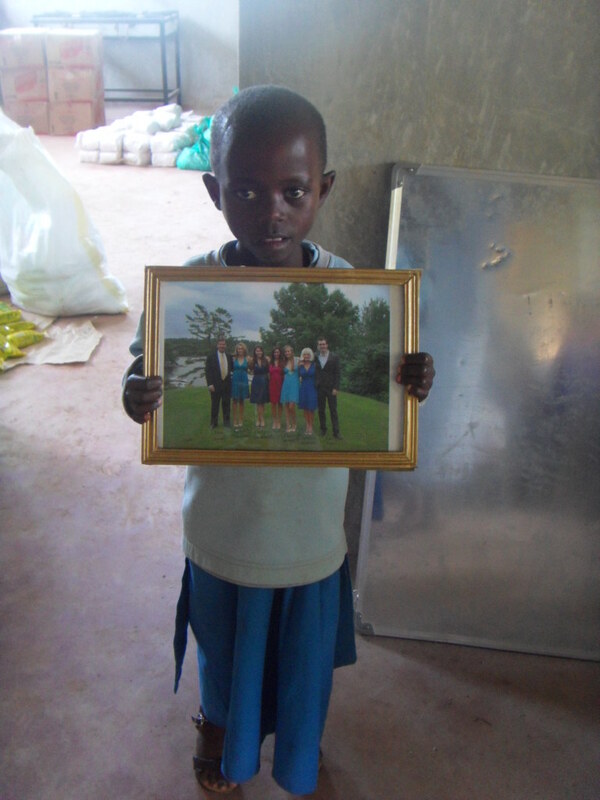 Nduku Mbula holding up the picture of her sponsors, Cheryl and her family. 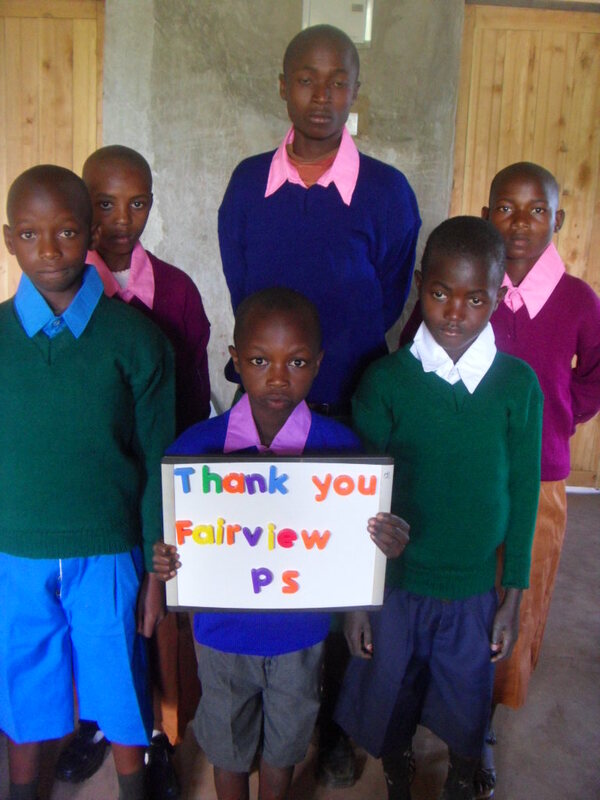 We look forward to sharing our about our Kenyan adventure! We wish all our supporters a safe and happy holiday.